Clutter is the disease of American writing. We are a society strangling in unnecessary words, circular construction, pompous frills and meaningless jargon. But the secret of good writing is to strip every sentence to its cleanest components. Every word that serves no function, every long word that could be a short word, every adverb that carries the same meaning that’s already in the verb, every passive construction that leaves the reader unsure of who is doing what — these are the thousand and one adulterants that weaken the strength of a sentence. And they usually occur, ironically, in proportion to education and rank. The current disrespect for American English is very sad. First of all, it’s a language that prides itself in having rules of structure and pronunciation that are often broken. This makes it one of the hardest-to-learn languages in the world. One reason is that American English uses constructions and words borrowed from many sources. Beyond that, younger Americans seem to ignore any prior form of language discipline (vocabulary, grammar and punctuation). And the number of abbreviations and acronyms that have been created must completely bewilder foreigners trying to understand us. Periods in abbreviations can be a controversial subject. There are no hard and fast rules, and often the style manual used by the editor or publisher will prevail, so know your audience. Following are some general guidelines. It’s often difficult to decide when to use a hyphen or dash, and whether to use a long (em) dash or a short (en) dash. The letters ‘m’ and ‘n’ are used to describe the length of the dash as the same as the matching letter. This grammatical bugaboo has been plaguing writers for hundreds of years. In spite of rules to the contrary, there are times when a writer can “get away with it”. But how are you to know? The following guidelines will, hopefully, provide some answers. The apostrophe mark (‘) has two major uses in English. Usage 1: the apostrophe signifies that one or more letters in a word have been left out. So, for example, in poetry we have o’er for over; in contractions we have can’t for cannot and she’s for she is; and in abbreviations we have dep’t. for department. Usage 2: the apostrophe indicates a possessive noun (John’s house). Which way to publish? This can be a challenging question for an author. There are so many options. 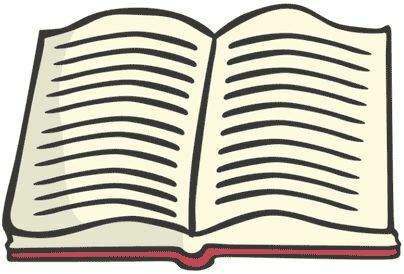 You can go the traditional printed book route — hardback or paperback. You can save your book as a .pdf (portable document format), then print it on paper or sell it electronically from your website. (Note: pdf documents can be read on many e-readers). Or you can create an electronic book (e-book), which can be read on a variety of electronic readers (e-readers) and sold from your website or through a number of online book sellers (e.g., Amazon Kindle, Smashwords, Barnes & Noble, etc.). When you give an elevator speech, you’re briefly telling someone what you do or provide. If done right, you’ll spark someone’s interest by explaining the value to them of what you or your product is about, and to stimulate further action. It’s not, repeat NOT, a sales pitch. 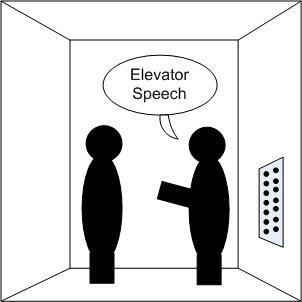 The term “elevator speech” derives from the idea that one should be able to share the most essential information in the time it takes an elevator to go from, say, the ground floor in a tall building to a high-numbered floor (e.g.,10-30 seconds). If your overview is intriguing, the recipient may be persuaded to ask for more information. A redundant word is one that’s not necessary for the transmission of a thought, which is the purpose of effective communication. I think ‘swell’ is lousy, but ‘lousy’ is swell. What do you think “far out” might mean to someone trying to learn English? Would they relate it to distance? Could they ever understand that it meant “rad”? Oh, sorry. We meant a radical idea. Every generation in this country, if not most countries, has used words or phrases that were understood by a local or specific group of people and not by others. So this is not an unusual phenomenon. However, as the world has gotten “smaller,” and effective communication is more important than ever, the use of a restrictive vocabulary isolates that group of people. Who knows, that may be their goal. For millennia, communicating knowledge in written form has gone through huge changes in technology. First, there were pictures on cave walls (think Lascaux, Native American pictographs). When the alphabet was created, people carved their messages on stone tablets (think Ten Commandments or the Rosetta Stone), or pressed them into damp clay (eg, the Sumerians).